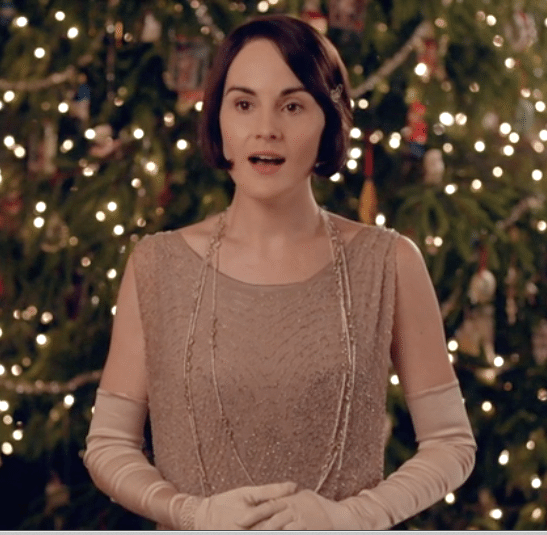 Joyful and triumphant, with everyone singing in exultation and happiness at the turn of events taking place at Downton Abbey, was a wonderful way to end the Xmas Special and Series 5 of our favourite soap opera. 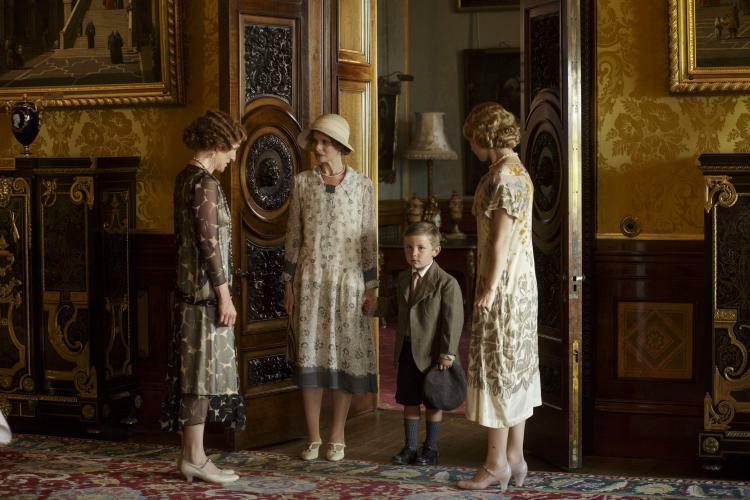 Upstairs and downstairs the family are helping break down the boundaries and barriers of class and race prejudice in England in 1924. For once everyone is allowed to be happy on this our annual visit with all those in our favourite family, who have become like old friends. 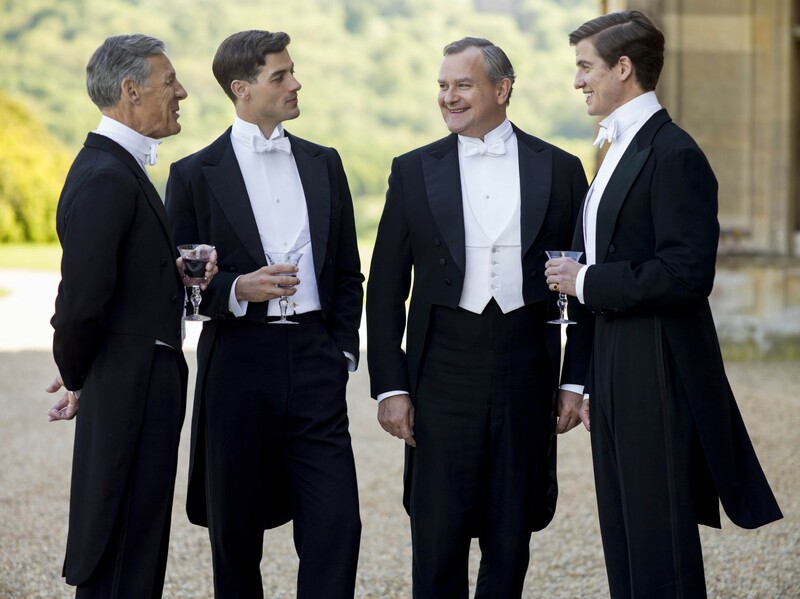 There is no doubt all over the world many continue to enjoy their role as voyeurs on the intimate lives-taking place centred around Lord Grantham’s English country estate during the early twentieth century. Even the King is intruding now, via that new fangled contraption the ‘radio’. And when the King speaks people listen. However to hear him speak the lovely Lady Rose (Lily James) has to convert Lord Grantham (Hugh Bonneville) to the coming age of technology. 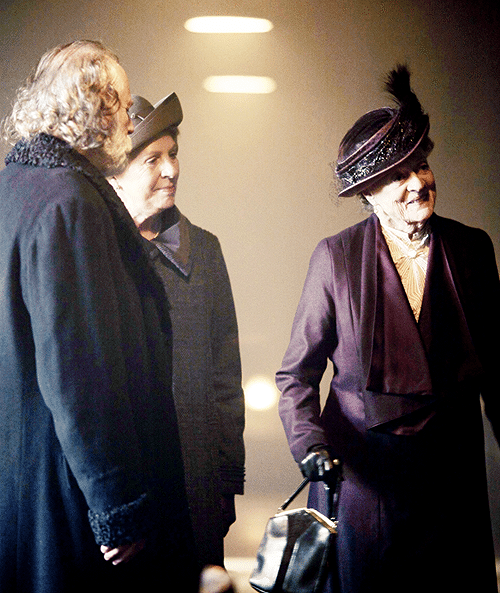 This season the family, both upstairs and downstairs, survives a great deal and the Grantham women are seeking to perform their newfound duties with greater freedom. Costume is a footnote to culture and during this season all the younger ladies have embraced practical and functional shorter dresses and cropped hairstyles. 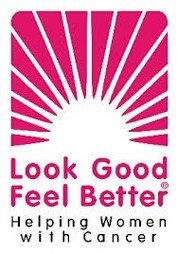 Although we do note this is a privilege enjoyed mostly by those upstairs, not one those the ladies downstairs are yet embracing. 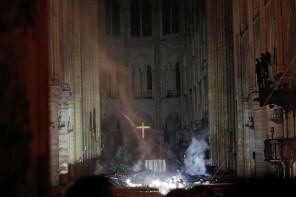 Generally resistant to change, often short of the ready necessary, distrusting extravagance, their practicality will not allow them to abandon conservatism easily. The boys upstairs on the other hand are in the main either heavily tweeded up or looking dashing in their dinner suits, while those downstairs still wear their uniforms. There is no doubt the family and their faithful retainers, despite having so many curved balls continually thrown at them are in a good place, as the Xmas and New Year of 1924-5 looms large. Despite being a ‘footman down’ at the start of the show, the team below stairs are still toiling long and hard. The faithful retainers all continue to take pride in the family’s heirlooms. When they are away they take care to cover and store the family’s furniture and objet d’art for future generations to use and enjoy. While our favourite entertaining melodrama has changed, it’s still for many, completely addictive. Mrs Patmore and Daisy as ever are in the kitchen cleaning and cooking with great alacrity and humour, so all is right in the world. 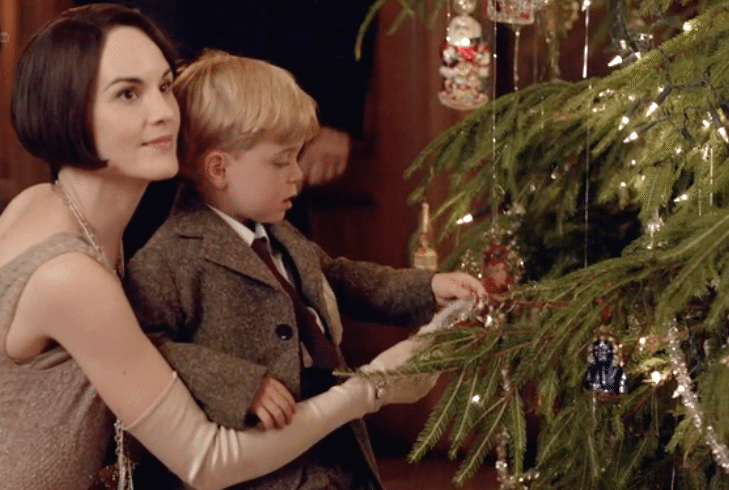 There is also a new baby in the Downton Abbey nursery, so please, don’t read on if you would like the season to remain a mystery and open to your own interpretation. 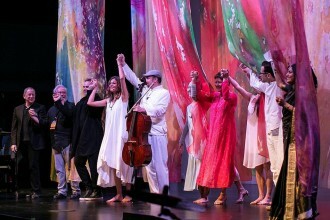 Following the war the reaction to four years of suffering and privation has now been replaced with a whole new epoch of creativity and joi de vivre. Everyone is seeking a better future. 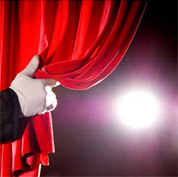 The motto ‘live and forget the past’ that prevailed into the early 20’s has taken hold, with etiquette changing rapidly. Conformism is being rejected and freedom of expression becoming a new rule. Across the channel avant garde French architect-designer Le Corbusier has already expressed his view architecture has lost its way. He predicts a bold new age is dawning requiring an equally audacious style, one that will ‘integrate contemporaneity while preserving the will to art’. 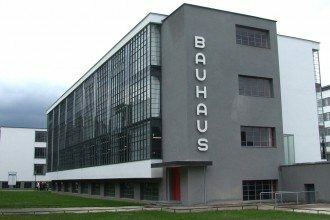 He published his work on his theory of the interrelation between modern machine forms and techniques of contemporary architecture in 1923, although Modernism and its offshoots is not yet a design style that will impact greatly at Downton Abbey, or on its inhabitants where tradition always abounds. 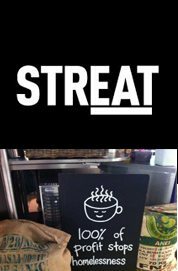 Egalitarian ideals are triumphing over aristocratic habits and the invention of the automobile and its advancement is changing people’s aspirations, ways of life and the costume worn to live it. A fiery Season 5 starts with an accidental blaze in Edith’s room, following a celebration party for her parents Robert and Cora on their 34th wedding anniversary. The people of the village would like to build a war memorial for all those who died in the war and Carson has been invited to head the committee with Lord Grantham as patron. As we all know by now both Carson and Robert Grantham know their own minds and rarely admit they are wrong. Prejudice is brought to bear when Carson disapproves of Mrs Patmore’s nephew being included on the list ensuring sparks will fly over the weeks ahead with hopefully the friction being resolved to everyone’s satisfaction. 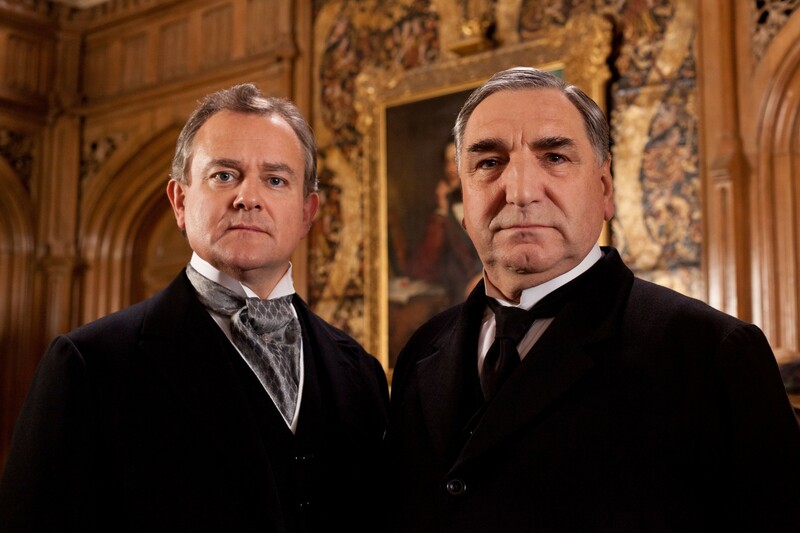 Lord Grantham and Carson are also both alarmed at the election of a new Labour government. What will it mean for them all? The Lord doesn’t want to lose his way of life and Carson doesn’t want to lose his privileged position, although he realizes he must now start making plans for his own future. Carson enlists Mrs Hughes and they are kept busy planning and hunting for real estate to open a B&B to provide an income in their old age. 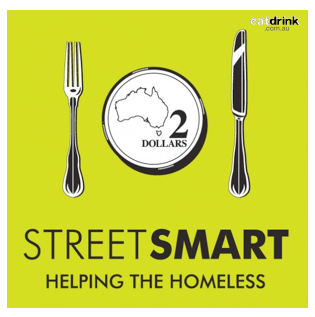 But will this be a partnership that can be resolved? Daisy is busy taking up learning, encouraged by Tom’s friendship with school-teacher Sarah Bunting who continually rubs everyone up the wrong way and with fantastically prejudicial style. He has had to sort out his feelings towards the family, who have given him so much love and support since the death of his beloved wife, the lovely Sybil. He comes down in their favour, deciding he would want them to be happy about his choices too. It comes to an end as he firmly waves her off to continue her quest somewhere else to remain a ‘victim’, rather than look to the future with optimism as he has learned to do and has decided, is what he wants. 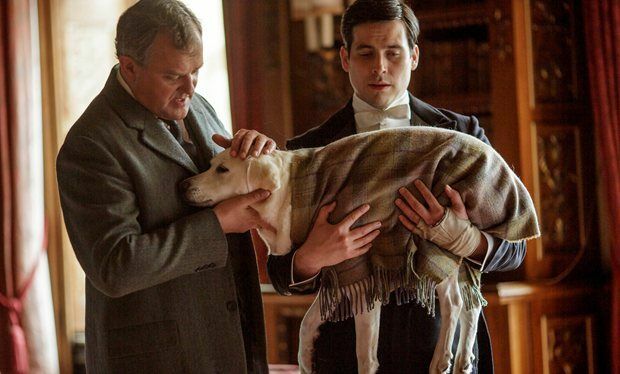 There is a pause a few episodes into the season when like everyone in the family, Thomas from downstairs helps Lord Grantham comes to terms with the loss of his faithful Labrador Isis. The Dowager Countess Violet has a very full season for someone of ‘advancing years’. 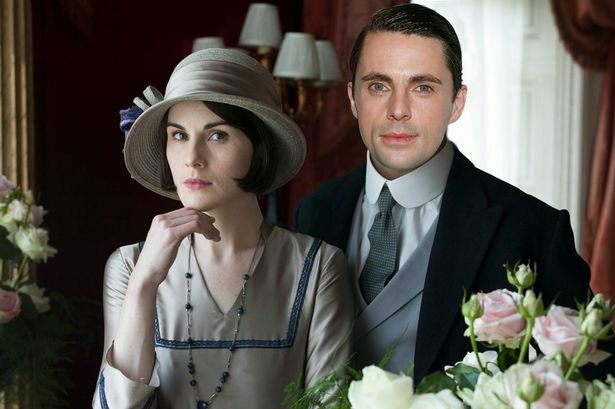 She and Lady Isobel Crawley continue to enjoy their wonderful moments together, as we do. 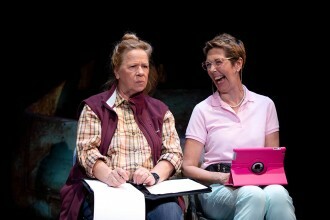 What sterling casting Maggie Smith and Penelope Wilton together has turned out to be. 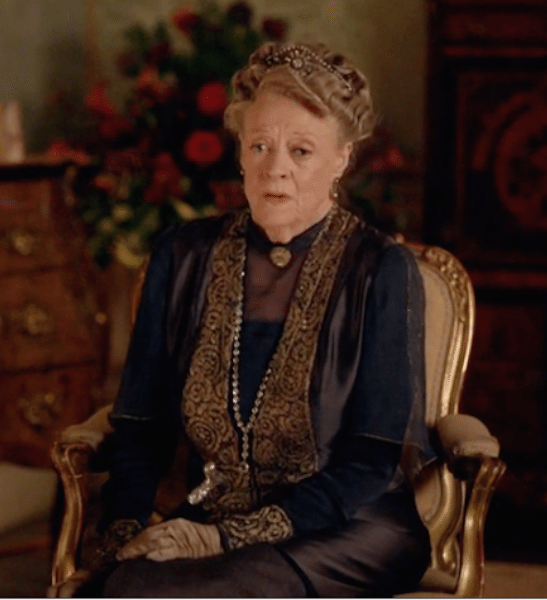 Julian Fellowes provides his favourite Dowager Countess with many witty words to deliver, as she attempts to sort them all out. Dame Violet gains a new lady’s maid Denka, who clashes with her uppity butler Spratt. The love of Violet’s life, with whom she nearly eloped when she was young turns up in the shape of a Russian Prince. The still dashing Kuragin (Rade Sherbedgia) has a mesmerizing voice and manner. He is married to Princess Irina, although she is out of the picture for a little while at least. He has fallen on hard times, fleeing to Britain following the Russian Revolution like so many of his friends. Violet goes to meet him where he’s living in virtual poverty. 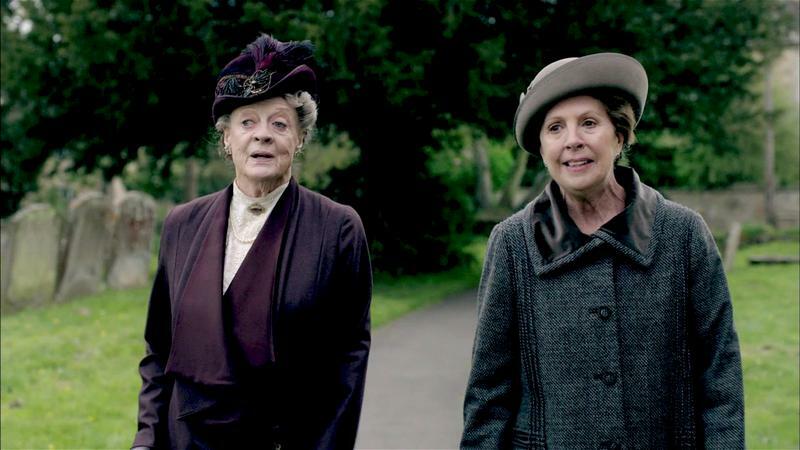 But it will never do, and she introduces Isobel Crawley (Penelope Wilton) into the scene so she can help her to rescue him. Violet also later rescues his wife Princess Irina and puts them back together. 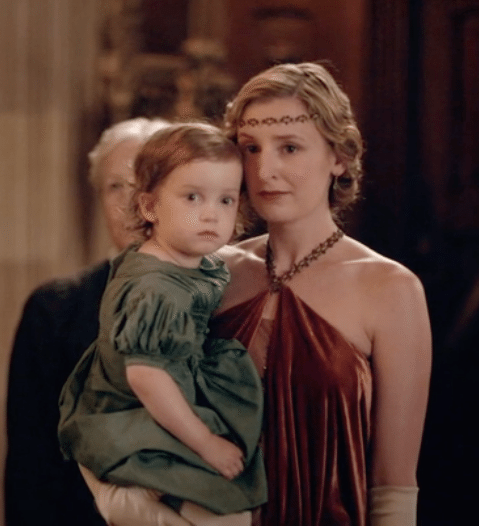 The Dowager is also managing her own daughter Rosamund. She’s in collusion with Edith trying to help her from losing her ‘born out of wedlock’ child Marigold, surely a scandal waiting to erupt. With Violet on the case after guessing the real story, we can all begin to hope for a good result. Edith finds herself alone once again in a rapidly changing world world with a great deal to sort out. After years of heartbreak and uncertainty she is finally allowed to know the love of her life is gone. They discover he was caught up and killed during Hitler’s renowned Beer Hall Pursch, an incident with terrible consequences. It took place when the Nazi Party leader first failed to seize power in Munich in November 1923. 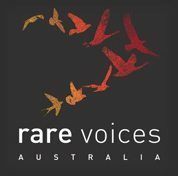 Edith discovers she has inherited his publishing company and wrestles with her emotions as she visits her daughter, now being brought up by local Farmer Drew and his wife. Mrs Drew resents Edith’s constant presence in their lives, ensuring that a boiling point will be reached. 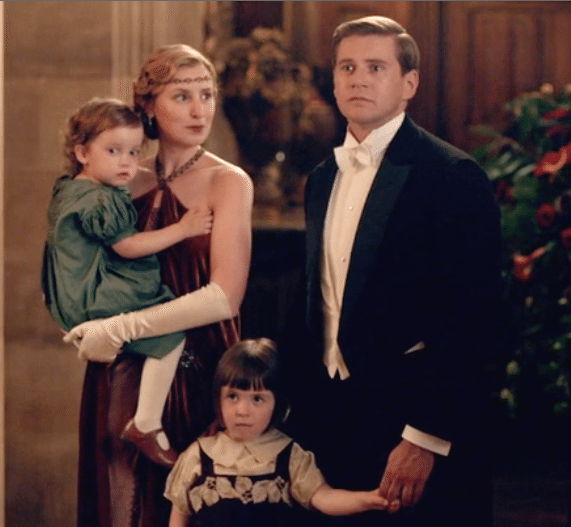 When it does Edith removes Marigold from their care and she joins the Downton nursery, along with Mary’s son George and Tom’s daughter Sybil. Edith is kept busy trying to convince everyone Marigold is an unfortunate child she’s just adopting. The truth will out however, and by the end of the series all the family know except Mary, but will it end there? Society is as ever cruel to those who oversteps its boundaries and at this time, it was certainly not known for its compassion. 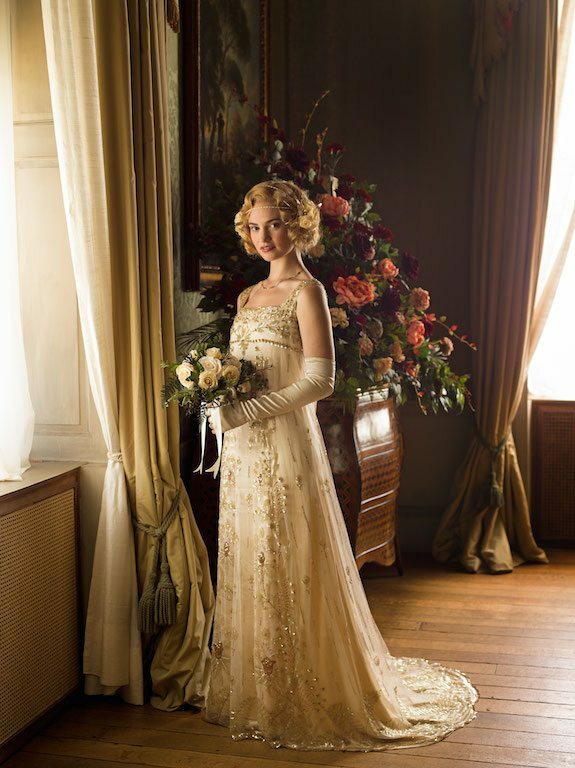 Lovely Lady Rose (Lily James) is the star of the show this season. She introduces her new friend Atticus Aldridge (Matt Barber) and his parents Lord and Lady Sinderby into the milieu. 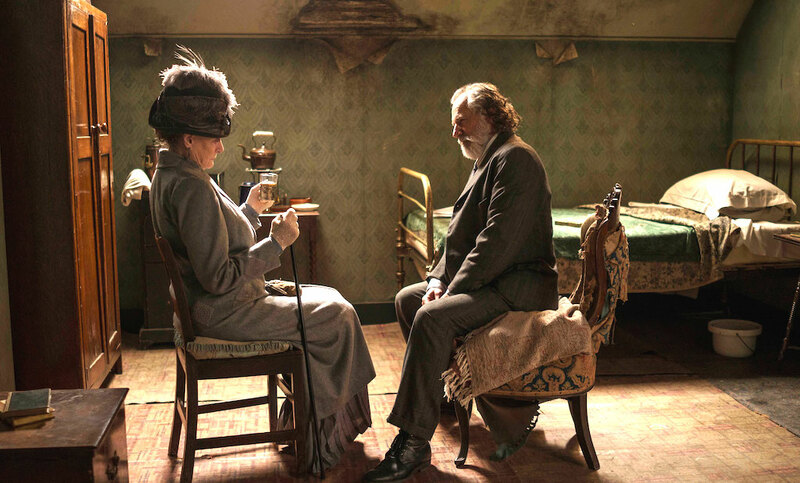 She meets him while doing her best to help the Russian immigrants. We become quickly aware these are two people very well suited to each other and it’s no surprise when they become engaged to be married. However Rose’s parents Lord and Lady Flintshire nearly put a spanner in the works. It seems they are getting a divorce so that when they come to London from America for the wedding they behave badly indeed. The fact the family are Jewish has an impact on all around them, except the happy couple who refreshingly have no prejudices. Anti-Semitic feeling was running high at the time and mutli-faith nuptials were an important aspect of any celebration. Rose’s mother tries to sabotage her daughter’s happy day, fortunately failing to succeed. Lord Sinderby takes an early dislike to Rose. He doesn’t consider her, or her parents a fitting match for his son. However Atticus’s mother Lady Sinderby adores Rose and is determined to see it right. Cora her aunt is delighted, after all her family is Jewish too. Isobel, Lady Crawley we find has at first, accepted the suit of the very straight up Lord Merton (Douglas Reith). Then following both his sons being rude and insolent to her at a dinner party in their honour, she decides to put him out of her life, despite his declarations of passionate love. She can’t stand the thought of ending her twilight years living with conflict, which is easy to understand. After all self-sacrifice was the norm for women at the time, especially if they embraced the idea of unconditional love. Letting him go for her would be far more noble. Mary, while not being the centre of attention quite so much this season, is kept busy at first sorting out her suitors Charles Blake and Lord Gillingham. She is concentrating solely on herself, completely failing or not wanting to see, her younger sister’s unhappiness. By the end of it all in the Xmas Special at the shooting party she is looking outward and unpredictably, she may have met her match. 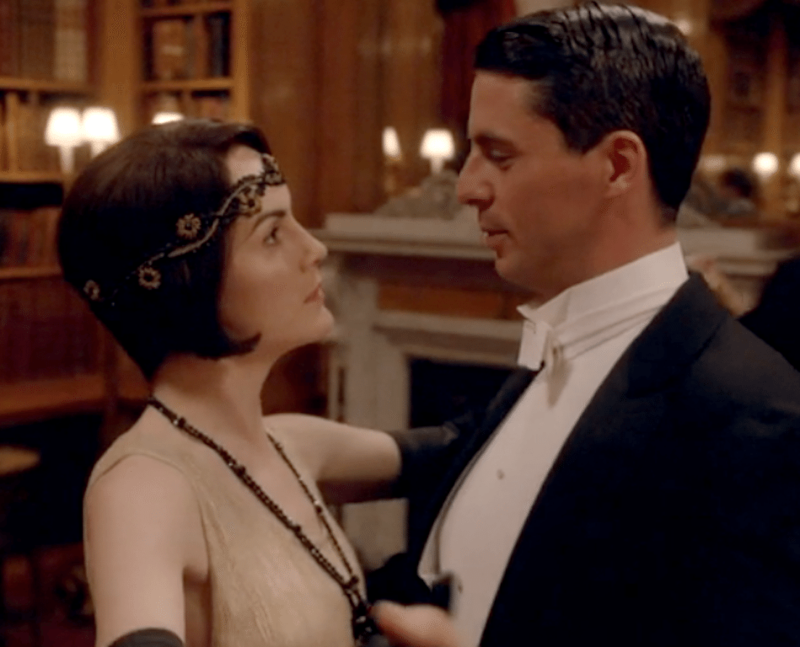 This happens with the arrival of Henry Talbot (Matthew Goode). He’s as different as he possibly could be from her former husband, or other suitors, amazingly her equal, giving her as good as he gets. He’s daringly dashing, very well dressed, a good shot, loves fast cars and showing off his ‘racy’ style to great effect! He’s just the sort of man who would embrace le style moderne and patiently play a waiting game, applying restraint to win her heart. This is likely to happen in Series 6, which has now been confirmed. 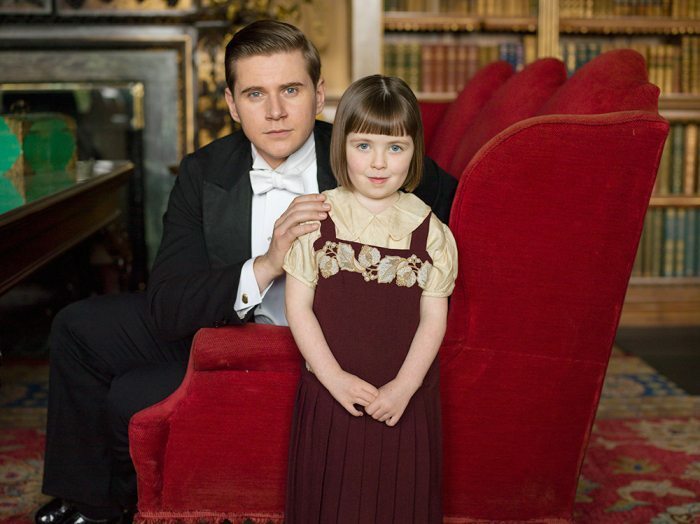 Downstairs Bates and Anna are in a real dilemma with the death of Green, who violated Anna in the last series. They have to battle hard, especially when Anna is arrested on flimsy evidence that could convict her of his murder. 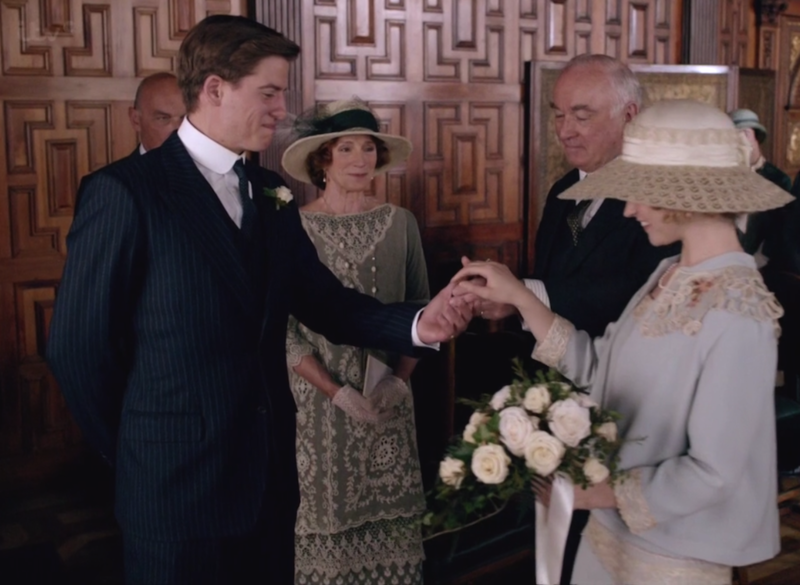 Bates sends a letter of confession so he can have her acquited and leaves for Ireland. It is up to dear Moseley and Baxter who spend all their spare time together trying to help clear them both so things can be put right. Thomas is also having a very hard time. In the beginning he is endeavouring to ‘cure’ himself of homosexuality. Dr Clarkson tells him he must learn to ‘live with it’ and so he does. By the end he’s getting up to his old tricks again, trying to cut Lord Sinderby’s snobbish butler Stowell (Alun Armstrong from New Tricks) down to size. 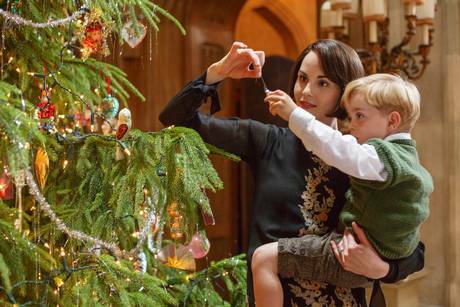 The action for this takes place in the Xmas Special when the family goes to stay at Brancaster Castle in Northumberland. Lord Sinderby has hired this stately pile so that they can enjoy ‘grouse shooting’ together. Like all such house parties, there is a great deal more going on and plenty of secrets on both sides of the family threatening to ‘derail the holiday’. An awkward situation, Lord Sinderby’s mistress rescued by Lady Rose as his wife goes to greet her with her son…. At the house party Rose rescues Lord Sinderby from a confronting and embarrassing situation by defusing the arrival of his mistress and her child. She has unknowingly been summoned by a letter, actually written by Thomas, causing her to blunder into the glittering family scene unnanounced. 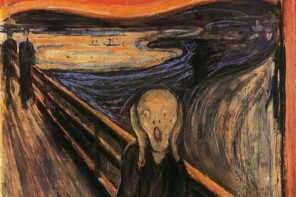 Lord Sinderby nearly dies of shock. 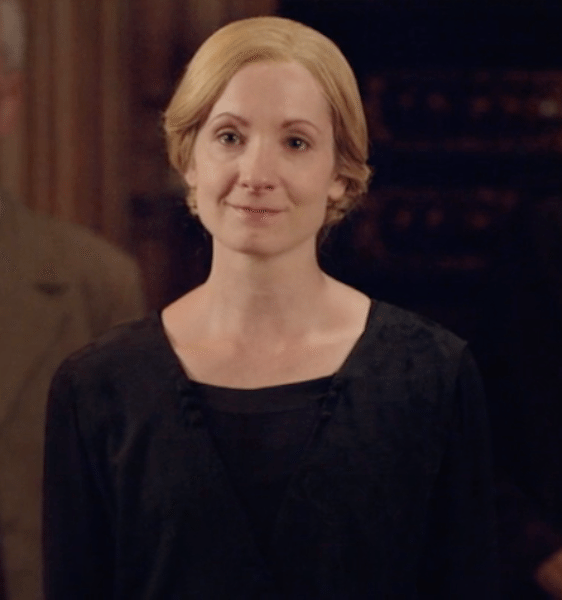 Rose rushes forward and claims her as a friend she invited at the last minute, without telling the family as Lady Sinderby (Penny Downie) goes to greet her. The unhappy Lord Sinderby is forced to have a personality transplant. He is beginning to realise at last what a gem his son has married. Dear Rose, she is genuinely and without any guile and has saved him from a sticky situation with his doting wife and we can be sure he is and will be grateful forever. 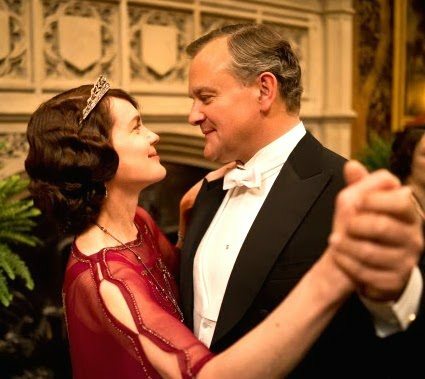 Lord Grantham ends the year on a high after having to diet! It seems that over the years he’s enjoyed a little too much of the good life, which has given him an ulcer. Lady Cora Grantham after nearly making a fool of herself with the dashing ‘art expert Simon Bricker (Richard E. Grant) finds herself being put into a deep freeze by Lord Robert, who decides to sell the painting he has come to the house to value. However forced to ponder on the shoe being on the other foot (he once started a relationship with a former maid) he relentsl. 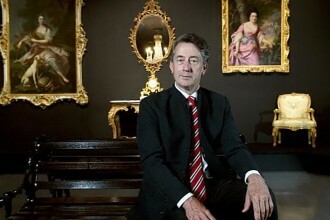 However he sells the painting well at auction and decides to inject the funds back into the estate, which is bound to help. Countess Cora makes sure Lord Robert gives up alcohol until Xmas eve when merry as he can be, he is still able to lead them all in song. He includes a toast to Tom. Tom Branson, who remains everyone’s favourite having bridged the gap between upstairs and down for quite a while now, has had a thoughful time. 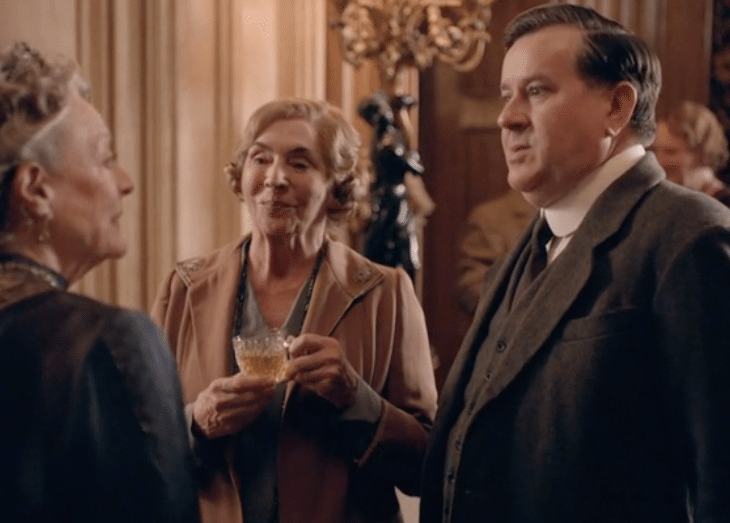 Tom we learn is about to leave to live in Boston, determined to forge a new life in a new world for his little daughter Sybil, despite Lord Grantham’s reluctance to accept his decision. 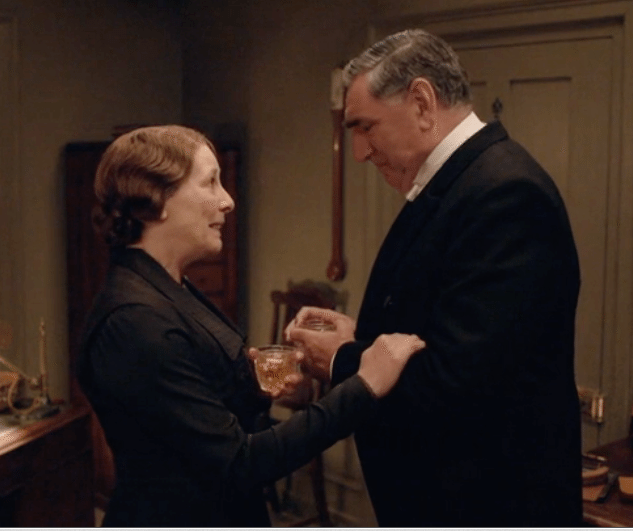 While he is embarking on his new life we discover that Tom will keep both Downton and its people in his heart as his home. He has also let Edith know at the Xmas party he knows her secret, as does her mother and father, with only Mary being left out in the cold. They decide to keep it in the family. In the season surprise on Xmas Eve Carson proposes marriage to Mrs Hughes, who accepts his suit with joy, ensuring we will all have a happy Xmas. 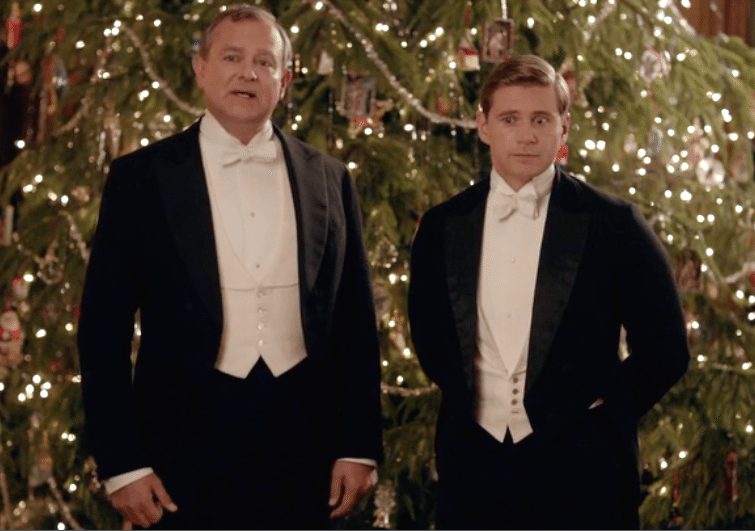 The Dowager Countess reunites the Prince with his estranged wife Princess Irina and finally sorts out her silly warring servants for the festive season. She declares she ‘doesn’t like dissension’. All’s well that ends well downstairs too. Anna returns, she’s out on bail to enjoy a Downton traditional Xmas, although we’re left not being sure what will happen next. Baxter and Moseley have proved that he is innocent, so Bates returns home too. 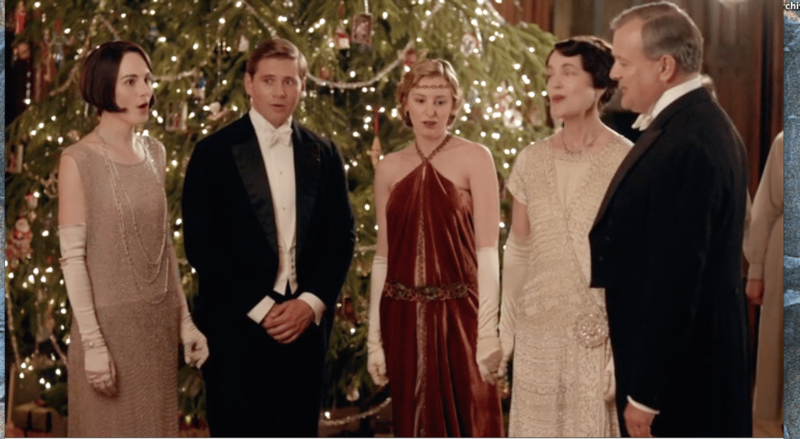 With the family united against the backdrop of the Downton Abbey Xmas Tree, everyone upstairs and down join together to sing “O Come All Ye Faithful’. 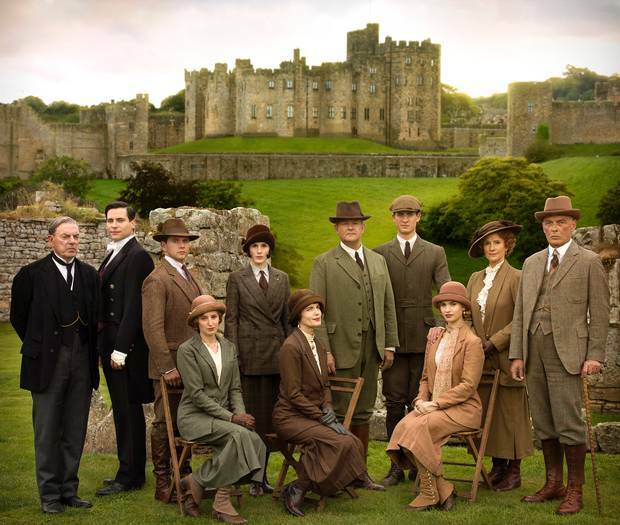 Downton Abbey could become a victim of its own success, as it juggles its players and propels them into the age of Modernism. However perceptive writer-producer Julian Fellows has proved that he is very adept at getting the balance right. 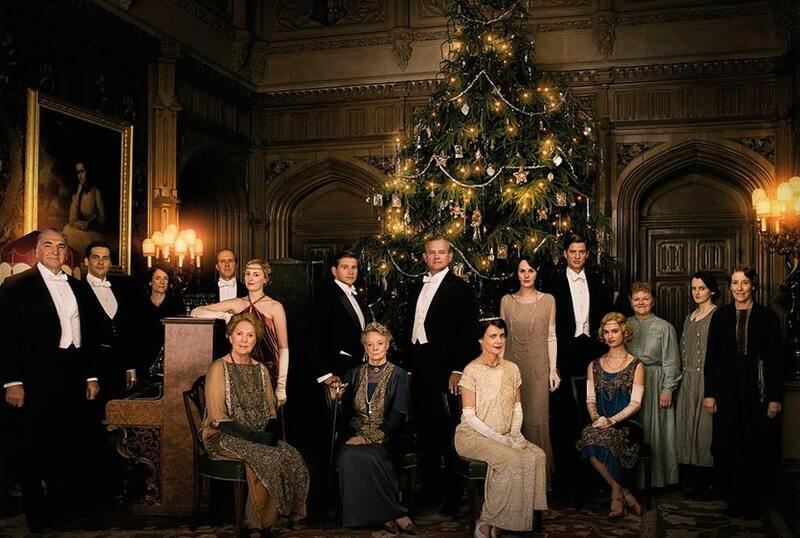 Executive producers, Julian Fellowes, Gareth Neame, Liz Trubridge, Nigel Marchant, Rebecca Eaton; producer, Chris Croucher; Rupert Ryle-Hodges; director, Catherine Morshead; writer, Fellowes; camera, Nigel Willoughby; production designer, Donal Woods; editor, Al Morrow; music, John Lunn; casting, Jill Trevellick. iTV: Filmed in Berkshire by Carnival and Masterpiece and presented by WGBH Boston. 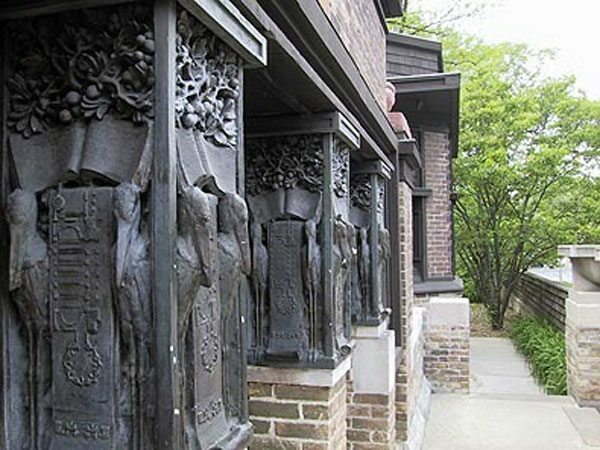 Frank Lloyd Wright wanted to achieve inner harmony a key aspect of his design, because he believed forming character in both a building and person was the same.